There are a lot of trading websites out there today that offer different types of trading platforms. Most of these websites may or may not have what you need in order to trade. This is where the “looking” starts. Looking for the best Bitcoin broker with derivatives trading can be a hard task due to the number of websites you need to go through. With this being said, we have extended our help to find you guys the best website to trade depending on your preferences. As we all know, different people have different preferred websites. Some people might like their trading websites to be completely fueled by cryptocurrency, others don’t. With this obvious differences, we have listed five websites below with their general information like deposits/withdrawals, features, and currencies that are being traded along with their pros and cons. But before moving forward, what is Derivatives trading? A derivative is a contract between two or more parties which is based upon assets. A good example would be bonds and stocks are they get their value from its relation to another asset. If you ask any experienced trader, there is a huge chance that they would choose Derivatives over anything else due to the money it rakes in. Without further delay, let’s talk about that! 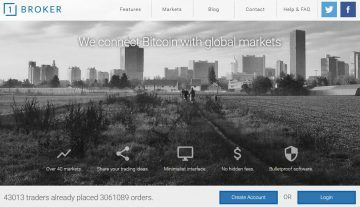 BitMEX.com, owned by HDR Global Trading Limited was founded in 2014 and has been providing trading services for traders since then. One of their trading services is derivates trading. Without any reports regarding hacking since it was founded, the website still holds that security that traders are looking for. It is also noted that BitMEX.com has one of the highest leverages in the market today, which attracts traders from around the world. Deposits and Withdrawal Methods – One of the famous BTC trading websites in the world. BitMEX.com only accepts Bitcoin deposits and withdrawals. This means that as a trader, you might be able to trade different currencies but they only accept Bitcoin. There are no deposit fees but the minimum deposit amount is 0.0001 BTC. When it comes to withdrawals, the minimum fee starts at 0.003 and minimum withdrawal is 0.0005. Website Features – What’s great about this website is that they provide “reading” materials for the new traders of today. You can read more about their guides there. Aside from the educational material you can get from them, they also offer different trading features that you can take advantage of. They also have a high level of security to make sure no one breaks into sensitive information. Currencies being traded – Currencies that can be traded here at BitMEX.com are BTC, DASH, ETH, ETC, LTC, XMR, XRP, XTZ, ZEC, and pairs for BTC/USD and BTC/YEN. Leverage can range from 1x up to 100x depending on the currency that is being traded. You are able to read more about their fees and schedules on this page. Deribit.com has been operating since 2016 and continues to provide trading services to its users. It is one of our listed websites for our best 5 due to one obvious reason; the website name came from Derivates + Bitcoin, hence the name Deribit. The website does not have any account limit verification since they complete run in BTC. Creating an account is very easy since you only need to provide an active email address, nickname, and password for the new account. Without further adieu, let’s look into what they’ve got. Deposits and Withdrawal Methods – Since the website only works exclusively with Bitcoin, this means that all their deposit and withdrawal methods are only for BTC. Compared to other websites that accept different payment methods, here you only have once choice. You only need to provide the BTC Address provided by the website for deposits and provide your personal BTC wallet address for withdrawals. Website Features – One of the most popular websites today would be Deribit, not because of their name but because of their 25 BTC insurance plan. What does this insurance plan get to do with a trader? Well, this simply creates a safety net for the company to not go bankrupt that easily because they have an insurance backup anytime they need it. They also have a live chat box where a registered user can chat with other traders of the website in live conversations. Currencies being traded – The website is so BTC focused that you only have BTC to trade with when it comes to tradable currencies. Here at Deribit.com, you are only able to choose between contracts for futures and options depending on what you need. Read more about their fees here. They have a maker rebate of 0.02% and a taker fee of 0.05% for futures and a maker and taker fee of 0.04% for options trading. Whaleclub.co claims to have over 15,000 traders that use their services on a daily basis. The website was founded in 2016 (relatively young in the industry) by a former banker. Whaleclub.co provides its services to more than 190 countries from all over the world. Though the trading website does not have any Android or iOS versions, the website can function properly with mobile devices as it is optimized also for mobile use. Deposit and Withdrawal Methods – Sadly, the website does not accept any other currencies but BTC alone. They follow a strict “NO FIAT” policy which means that they do not have any options for traditional bank deposit methods. Since they only accept BTC deposits, the website only also has BTC withdrawals. Withdrawal fee is 0.001 BTC per transaction. Website Features – One of the most awesome features of this website is that they have a demo account that you are able to take advantage of! Not all trading websites offer demo/test accounts to look into their trading features without spending any money for minimum deposits. Currencies being traded – Here at Whaleclub.co, you are able to trade with BTC, DASH, ETCH, LTC, XMR, and BTC/Fiat pairs. The website’s leverage starts from 3x up to 10x with a maximum trading size of 30 BTC. For the BTC/USD pair, the spread is 4.8 and the financing rate is at 1.8%. Read more about the full review of the trading website here. Listed as Evolve Markets Ltd., the website has been operating since 2016 and is located in Saint Vincent and Grenadines. Creating an account with them is easy and the best part is that traders are able to trade anonymously through their website. What’s even better is that they accept US customers! Deposit and Withdrawal Methods – The website purely operates with the use of BTC. This means that the only currency going in and out of the website would be Bitcoin. When it comes to withdrawals, there is no payment as they cover the network fees. They do have a minimum withdrawal amount and that would be 0.005 BTC and are done manual which may take up to 24 hours to complete. Website Features – Markets is one of the trading websites today that has a demo account that registered users are able to take advantage of. With a demo account, a user can explore the website’s trading platform without the risk of losing any real money on the process. Currencies being traded – Currencies that are being traded here are BTC/Fiat pairs, commodities, Forex, and Stocks. Read more about the complete review of the available markets here. The leverage here at Evolve.Markets go up to 1:500, they have 24 Hour Trading and No FIFO Limits. They also have STP Market execution and No Re-Quotes which makes the website great. A completely awesome website in which a registered user can cop trades with seasoned trading veterans! Yes, 1Broker.com is one of those websites where you are able to do that. If you love trading derivatives and copying trades, then this website should be perfect for you! Deposit and Withdrawal Methods – The website runs strictly on BTC alone. This means that you do not have any choice on banking options but the only way to get your money in and out of the website is through BTC. When it comes to withdrawals, the website charges you 0.001 BTC per transaction. Website Features – One of the most notable features of this website is their “copy trade” ability in which registered users are able to copy successful trades and earn from that. Though the website has their own explanation of how it works, that’s basically it, copying trades to maximize profits. Currencies being traded – They only have BTC/USD pair available in this website to be able to trade with, but they also have Forex, Stocks, Indices, Commodities to trade with the use of BTC. 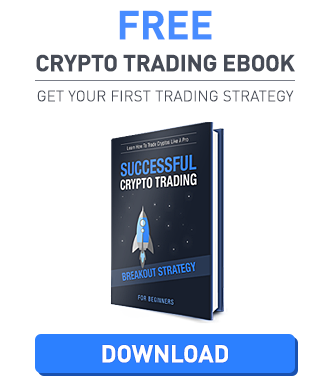 Compared to Etoro.com where you get to trade BTC using Fiat money, here it is the other way around. You use BTC to trade Fiat. What’s awesome about this website is that they do not have any trading fees. When you copy trades, 1Broker.com charges you 2% of the transaction. They also do not charge accounts that have gone inactive for a certain period of time. A complete list of fees can be found here. Mentioned above are five different websites that offer derivates trading along with their strengths and weaknesses. We hope that we have helped you in deciding which website to go with. We would just like to remind you guys that before you invest in a website; make sure to do final background checks just to make sure that you are investing in the right website. Good luck!